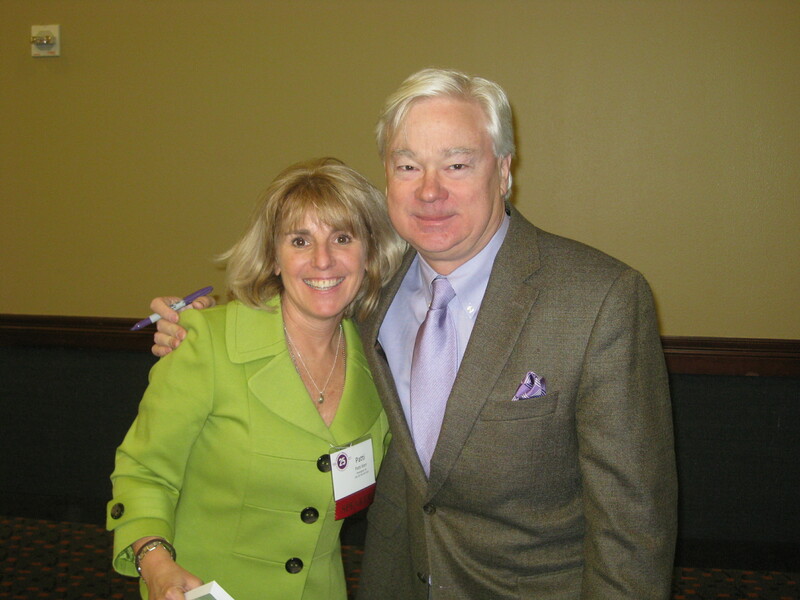 Several years ago, I was invited to be one of the breakout speakers at the Wisconsin Alzheimer’s Association’s conference. The keynote speaker on the final day was Barry Petersen, the brilliant and award-winning CBS News correspondent whose bio and list of accomplishments is astounding and impressive. He is also the author of the book, “Jan’s Story” which is a beautiful, heartfelt story of love and commitment ~ and difficult decisions brought on by Alzheimer’s. I had the opportunity to meet and speak with him after his presentation. Having already read “Jan’s Story”, I shared with him that his book allowed me to view The Disease (as Barry calls it) from the perspective of a spouse. I often wondered what my father was feeling and thinking during all the years he cared for my mother. Reading his ”Jan’s Story” gave me a glimpse into The Disease from a spouse’s perspective. It also gave me insight and a new perspective about Early Onset Alzheimer’s ~ since Barry’s wife, Jan, was diagnosed with The Disease at the age of 55. Most of us think of Alzheimer’s as an “old person’s disease”. However, that is not always true. After leaving Wisconsin, I quickly unpacked and headed to Washington, DC for the Alzheimer’s Advocacy Forum . On arrival, my hotel room wasn’t ready so I sat down in the lobby and immediately struck up a conversation with a young woman who was also waiting to check-in. Based on how young she looked, I assumed she was caring for a parent or grandparent. A diagnosis of Alzheimer’s at thirty years of age. Three children. A lifetime of memories yet to be created but, because of Alzheimer’s, will never happen. The next day at the Forum I met a fifteen year old young man whose father was diagnosed with Early Onset Alzheimer’s at the age of 47. He brought me over to introduce me to his mother and father. We talked, we hugged, we cried, and I gave them a copy of my book. At fifteen, he should be thinking about getting his driver’s license, senior prom, and what he wants to do after high school. He should be going fishing and learning how to change a flat tire with his father. Instead, he was reading my book and trying to figure out how he’s going to care for his father in the coming years. His father told me about the string of jobs he’d lost before his diagnosis. He said the diagnosis explained why he was having such difficulty at his job but now he was concerned about no longer being able to provide financially, physically, emotionally, and mentally for his family. His wife, like so many others whose partner has been diagnosed with Early Onset, was in the prime of her life. Just like the woman with the three children I had spoken with a few days early, they are individuals and families who were looking forward to creating a lifetime of memories. Instead, they now look forward to a future of uncertainty and to losing the memories already made. As Barry Petersen pointed out to those gathered in Wisconsin, this disease is impacting and redefining families, relationships, and marriages. And he’s right. As I travel and speak around the country, I see the impact this disease is having on individuals and families. I hear their stories and know, first-hand, what they are feeling and facing. It breaks my heart but I believe we have the power to change that future through awareness, education, and advocacy. Learn all you can about the disease, how to support care providers and the individuals who have been diagnosed, talk to your legislators to make sure they are behind Alzheimer’s research. While It breaks my heart, it would also break my spirit if I didn’t believe, in my heart-of-hearts, we will all one day know a world free of Alzheimer’s.